Intel's Coffee Lake processors for desktop PCs are rather highly anticipated by enthusiasts and gamers. At last, with these 8th gen processors, Intel will deliver higher core counts to the masses. 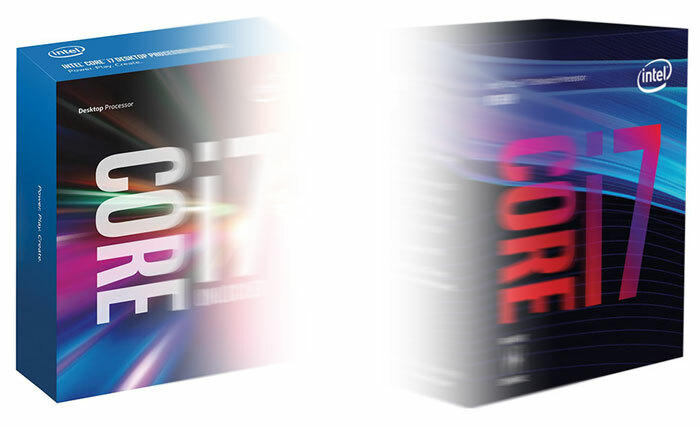 Last week we saw some 8th gen desktop processor packaging confirming a number of important things, namely the Core i5 and Coe i7 Core/Thread counts, and the fact that these new processors will require new motherboards - with Intel 300 Series chipsets onboard. On average the 8th gen Core i7 with its extra cores/threads and microarchitecture tweaks shows a 32.4 per cent jump in performance. Directly above we see that the new Core i5 with 6 physical cores provides an average 32 per cent performance improvement across the range of benchmarks. It could still be a month or more before Intel officially releases its Coffee Lake desktop CPUs (this 'Fall') so it's good to see these synthetic performance indicators for now. Pricing will be key to the adoption of these new CPUs with upgraders who need to factor in new motherboard costs. One thing I'm not looking forward to is the pricing on these new Intel CPUs when they hit the market. I would not be surprised if the i7-8700K hit the £400-00 mark upwards. Similar to the 7th gen Kaby Lake pricing to be fair - but actual GBP retail prices I'm sure will change. So a 10% IPC boost give or take, and the rest of the boost is due to the extra cores. No thanks.